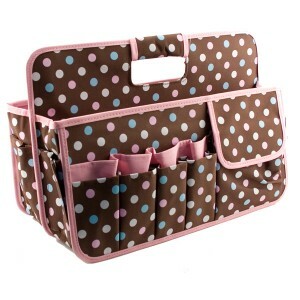 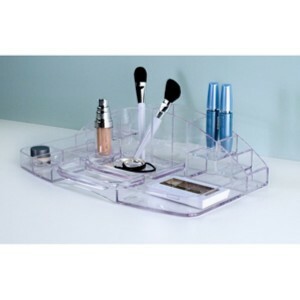 This Deluxe Cosmetic Organizer provides beautiful well-organized compartments to keep your cosmetics handy and at your fingertips. 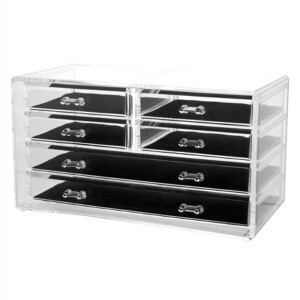 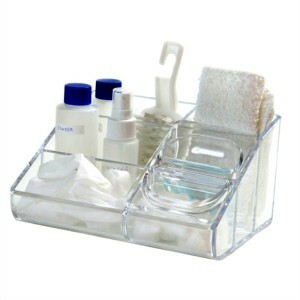 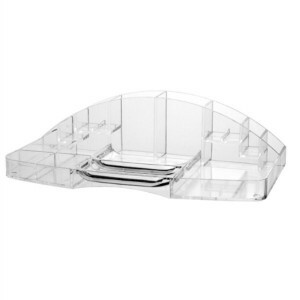 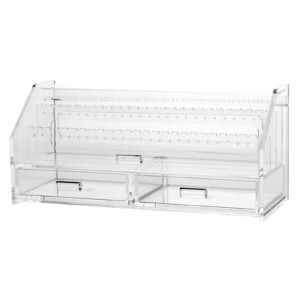 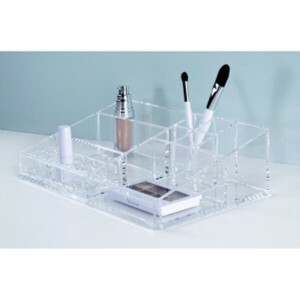 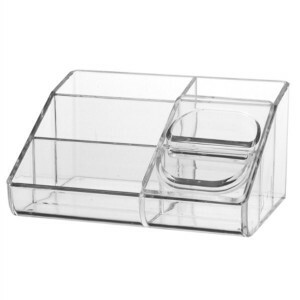 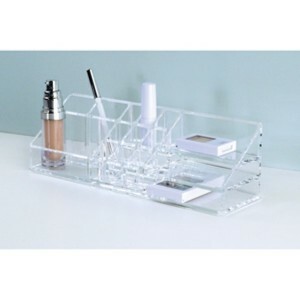 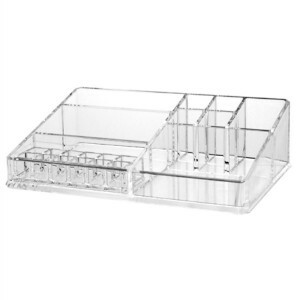 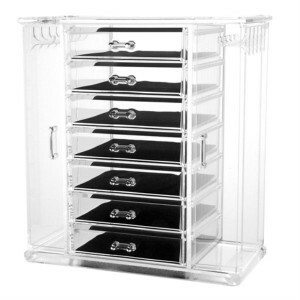 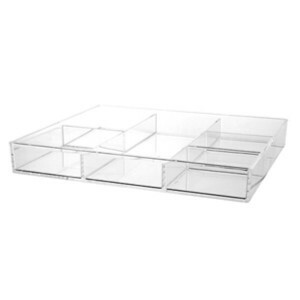 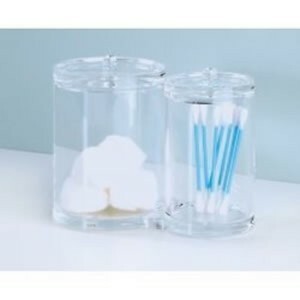 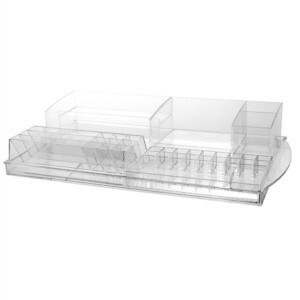 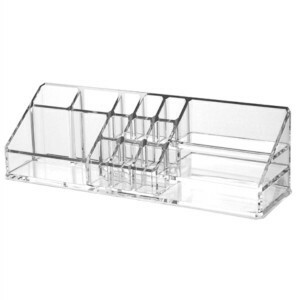 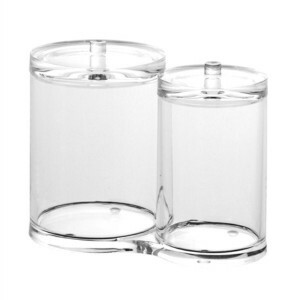 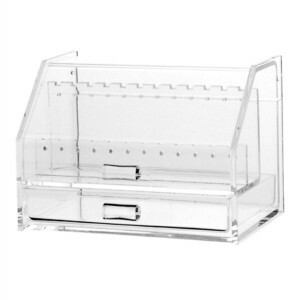 Made of sturdy acrylic, this clear organizer allows you to arrange your lipsticks, bottles, and brushes so you can easily find them when you need them. 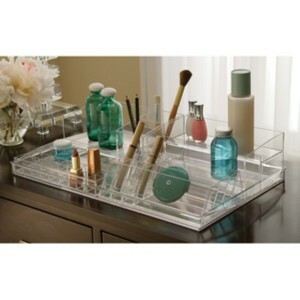 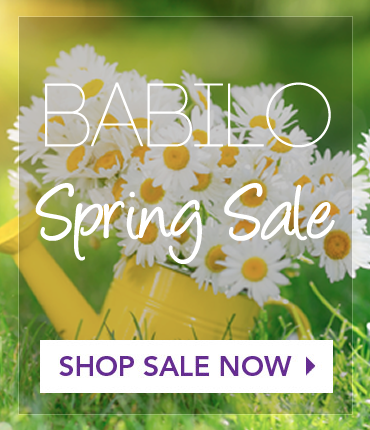 Looks great on a countertop or on the vanity. 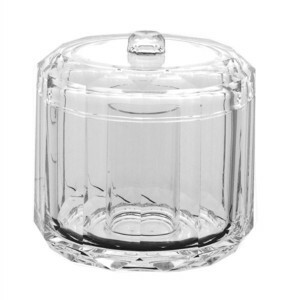 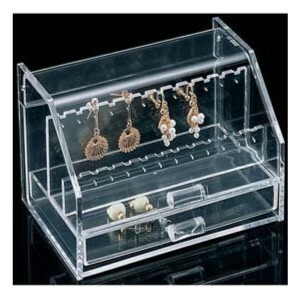 This attractive addition to your countertop will hold up to 12 pairs of your earrings. 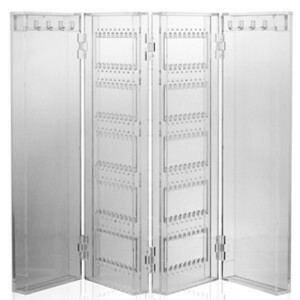 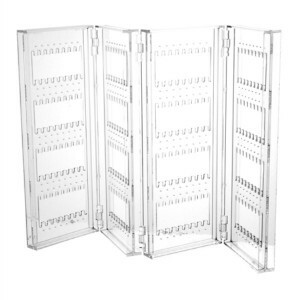 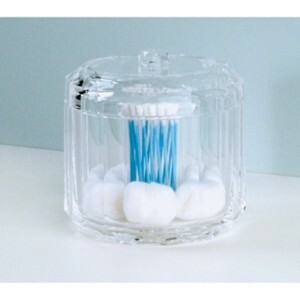 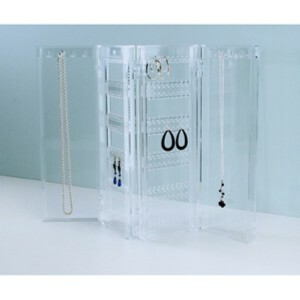 Easily accessible, and the clear acrylic makes them all visible at a glance. 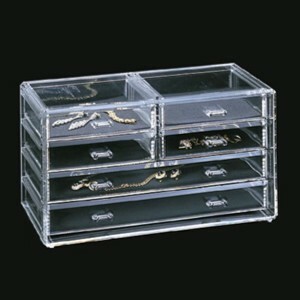 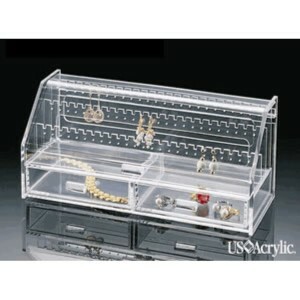 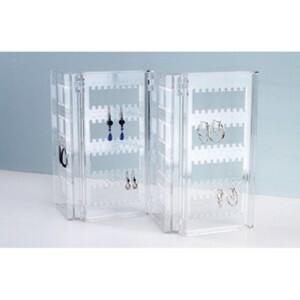 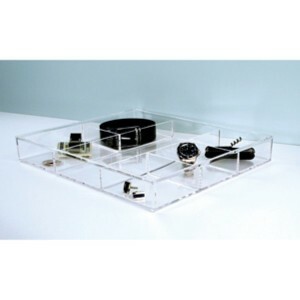 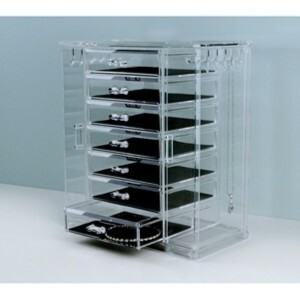 This stand alone jewelry organizer is made of clear acrylic, and beautifully organizes and displays your earrings and necklaces.